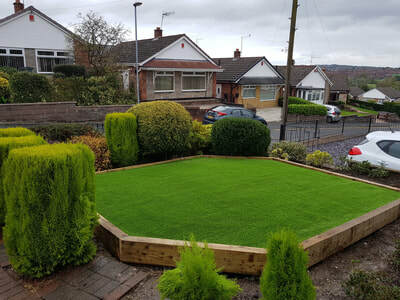 When it comes to hard and soft landscaping for your garden we have not only the experienced staff to give you a redesigned stunning garden we also have the skill to design it in a 3D format to show you before we lift a shovel. 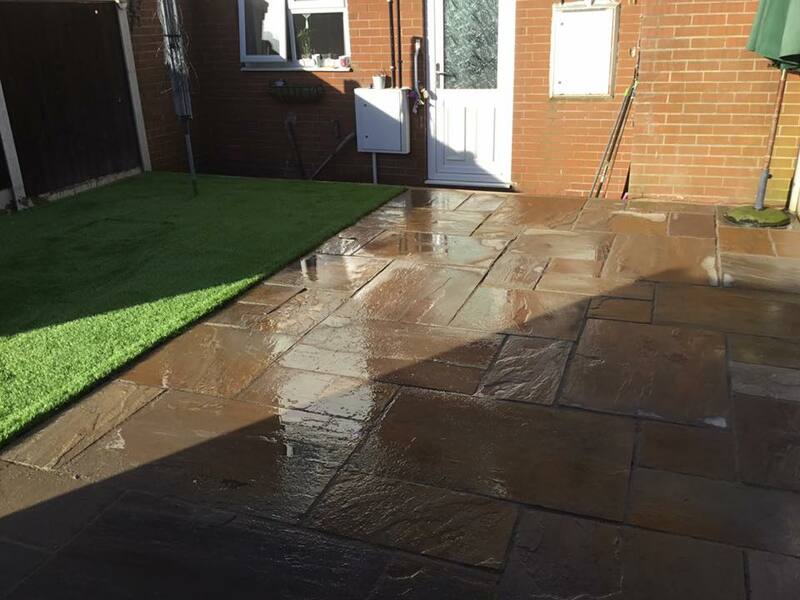 Click here to explore different options for your landscaping project. 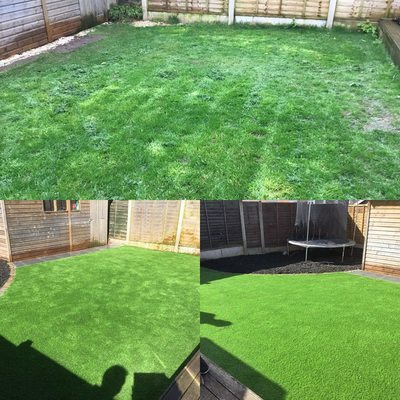 ​If you don't have the time to maintain your garden and want a perfect green lawn 365 days of the year our artificial grass solutions will offer you the perfect low maintenance garden you dream of. Artificial Grass is increasingly becoming popular for home owners across Stoke-on-Trent and Staffordshire, due to the ease of maintenance and gorgeous look. 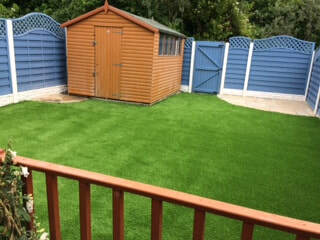 Fake grass is also the perfect choice for pet owners. Evergreen Bespoke Landscaping and Driveways ​ have transformed the gardens of over 100 clients using artificial grass in Stoke-on-Trent alone! 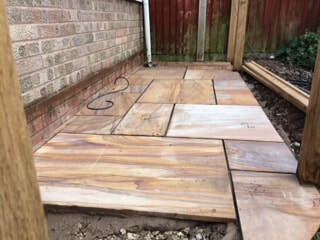 Nathan arrived the time he stated , very polite , very understanding to what I would like for my garden also my future plans , which I look forward to him completing. 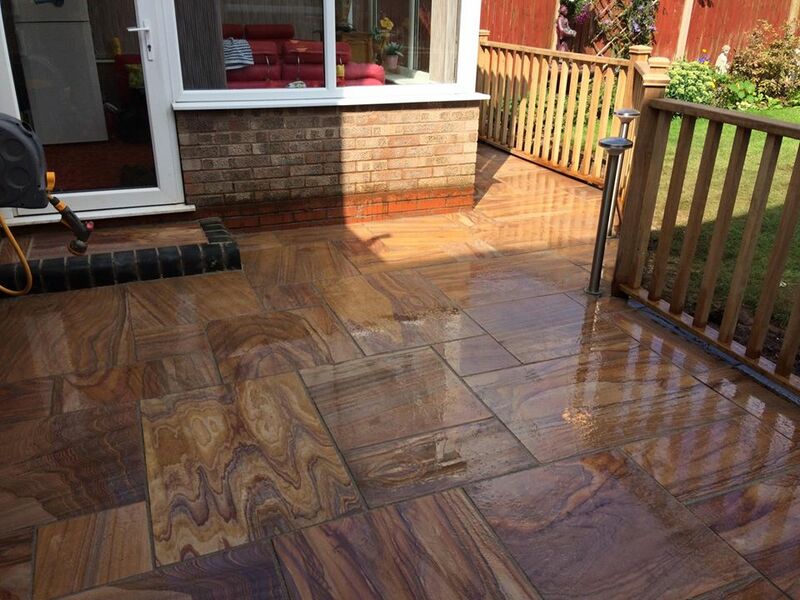 Thank you Mrs Pam Pearson May 2015. 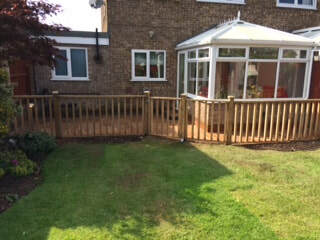 Have now updated my star rating to 5 ,Nathan was very understanding to my requirements especially my rose bushes ,the garden is now what I'd hoped it would be like when the plants flower it will be lovely .thank you .june 2015 .
experience to install any fence to a high class standard. at a fantastic price which you will find hard to beat. 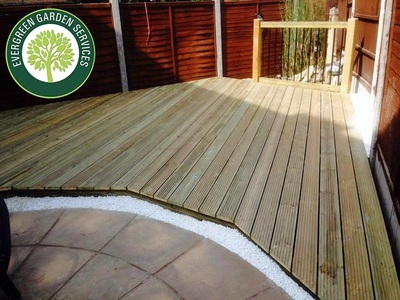 Evergreen Bespoke Landscaping and Driveways ​​ decks are second to none. 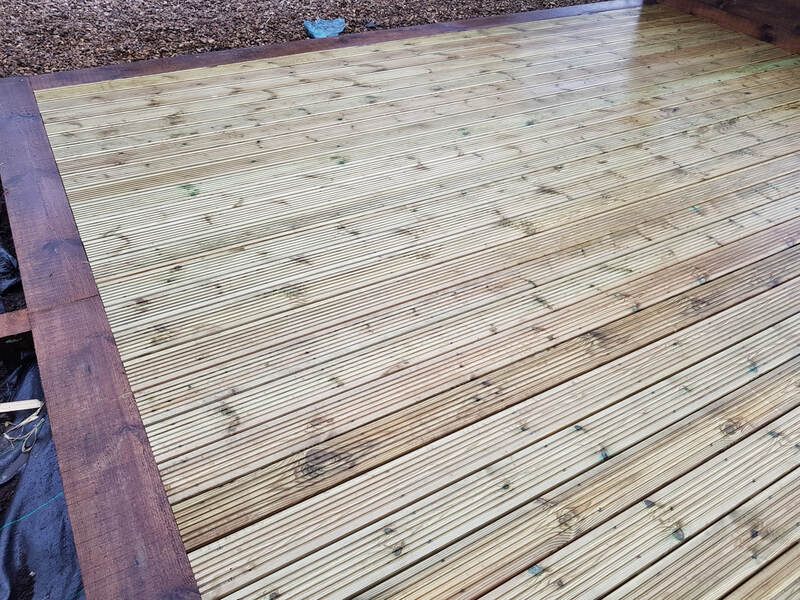 Decking is a great way to add a solid entertaining area to any garden. 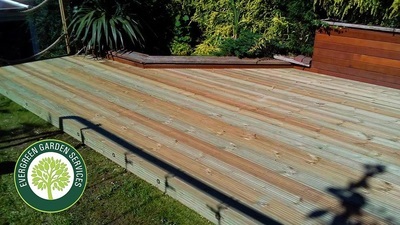 A deck is essentially an open-air extension of your living space. 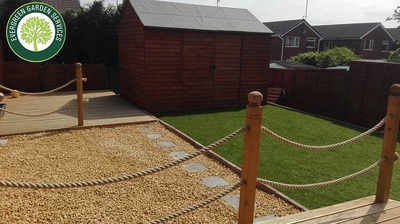 Free-standing or attached to a house wall, decking creates a space that's ideal for outdoor entertaining, as a play area for the kids or simply somewhere to relax outdoors. 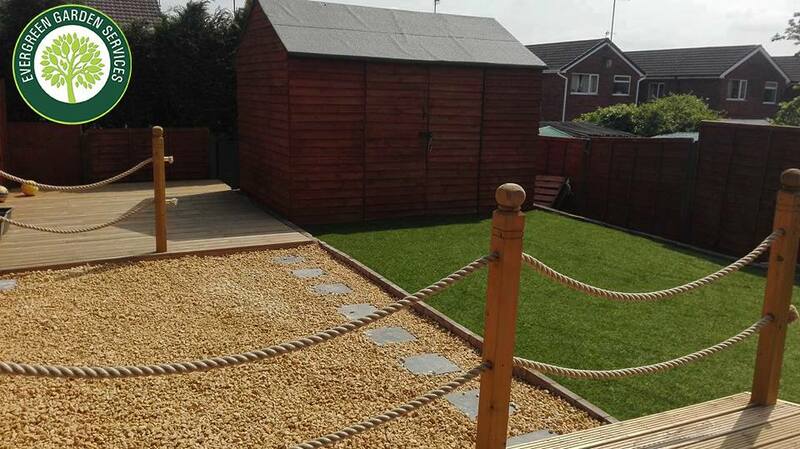 It also offers an inspired solution to common garden problems such as slopes, or spots where the grass won't grow. Using either wood or composite boards our craftsmanship will give any garden a real WOW factor! 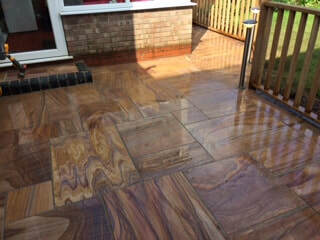 We both supply and install decking all over Stoke-on-Trent and Staffordshire. Using only the finest quality treated material from sustainable forests. 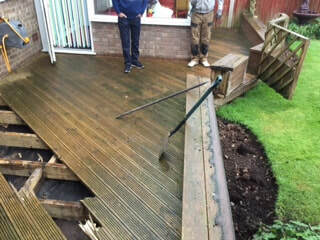 And we also have a dedicated garden maintenance team for those higher maintenance gardens, this team are dedicated to mowing, weeding, hedge cutting and the general maintenance of your garden. Whatever your requirements you can be sure that by choosing Evergreen Bespoke Landscaping and Driveways ​you are sure to get the garden you love! 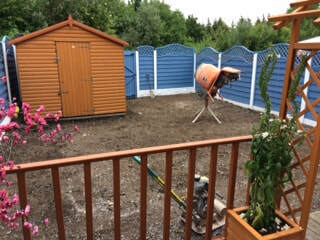 I was very pleased when I arrived home and saw what a brilliant Job Nathan had done to my garden. 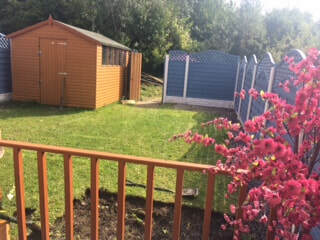 The grass was beautifully mowed, all the weeds removed and the patio area clean and tidy. Nathan is a pleasant and well-mannered gentleman and I would highly recommend his services. 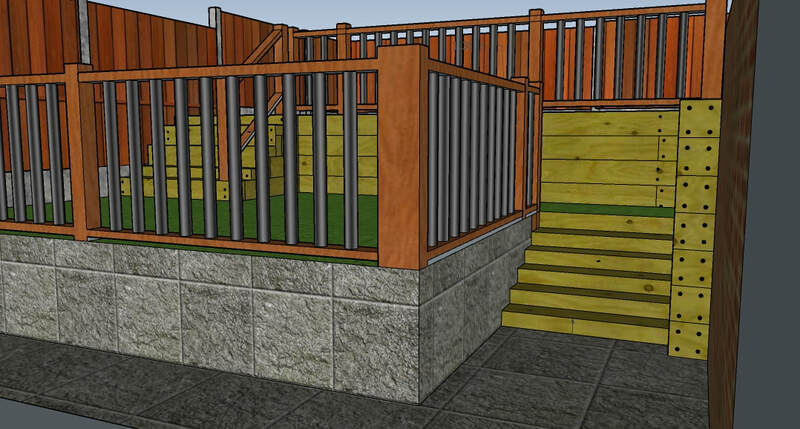 All of our landscaping projects come with a FREE Cad design so you know exactly how your garden will look before we start! ​ We are pleased to announce that we have relocated to Talke Pits.